BAFTA Film Award Nominee Stuart Hazeldine directed the picture which follows a grieving father after the abduction and assumed death of his youngest daughter. 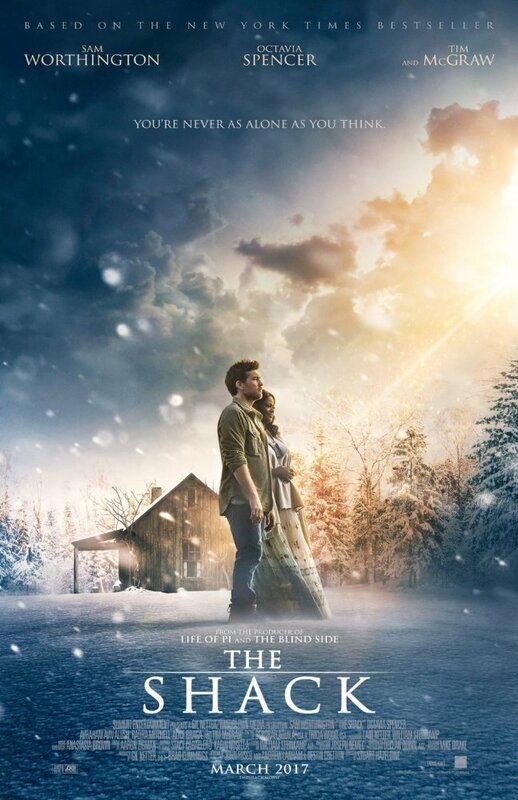 He receives a rather mysterious invitation from God to go back to the abandoned shack deep in the Oregon wilderness where his daughter may have been murdered. Once he arrives, he meets a trio of strangers that transform his thoughts and understanding of tragedy and loss, ultimately unlocking deep, personal truths about himself. The film releases March 3. This entry was posted on Thursday, December 1st, 2016 at 2:32 pm	and is filed under Books, Film, News. You can follow any responses to this entry through the RSS 2.0 feed. You can skip to the end and leave a response. Pinging is currently not allowed. « ‘Sons of Anarchy’ Spinoff To Begin Filming In March!! !